Often simple measures can help your student who has cancer get the most from their remaining life. This is part of a whole section on education when a child has cancer for teachers. We also have a section for parents. Often simple measures can help your student whose cancer cannot be cured to get the most from their remaining life. If your student becomes too tired to attend school for a full day, they may benefit from half days or even just going to class for an hour or two. As your student's energy wanes, you should adjust their workload accordingly. If your student has lost a lot of weight, they may be uncomfortable sitting in a school desk chair. To help, you can encourage them to bring a pillow or cushions to sit on. You can also provide an area in your classroom for them to take naps. There is some useful information on this website about palliative care and death and grief. But remember, this page is written about all children and young people not just those with cancer. Organisations such as Skylight, Kenzie's Gift and the Grief Centre have useful resources on dealing with trauma and grief. Your student's palliative care team may also be able to help with support. See Bereavement reactions by age group for more information on how young people react to loss. If a student dies, classmates may express their grief in a variety of ways. Some are quite open, while others may appear almost indifferent to the loss of their classmate. These responses are normal for young people reacting to grief. They may take in the information about a death gradually, as they become able to deal with the event and its consequences. It's important to acknowledge your students' feelings of loss for their classmate who has died. It is important not to force classmates to talk about the death or to deal with the grief before they are ready. Most young people will deal with grief in their own way and at their own pace. It is important to give them space and as much time as they need to come to terms with their classmate's death. Attending their classmate's memorial service or funeral can help your students to process their death. Even for very young children, especially if they have not seen their sick friend for some time, the service may help give them closure. It is also an opportunity for friends to say a last goodbye and to express their sorrow. However, not every friend or classmate should have to attend the service. It is up to each student and their parents to decide whether or not they want to go. Do not force anyone to attend the funeral if they are reluctant. It is important to encourage children to attend the funeral with a parent or someone who can attend to their emotional needs. If a service is held at a school - it is good to invite families and the wider community to be part of the service. Schools should offer support to teachers to help acknowledge their loss as well. Your students are likely to have many questions after their classmate's death. Again, most are best able to cope with this event if you give them honest, simple, straightforward answers to their questions. Palliative care nurses may also be able to help answer these questions. With the family's permission, you could encourage your students to create a memorial for their friend. They may want to plant a tree in the school grounds or fundraise for a piece of equipment for the school in their name. Organising a project like this and raising funds for it can be a valuable and therapeutic experience. In most cases, family members will be comforted by the way their child's classmates share their feelings of loss. 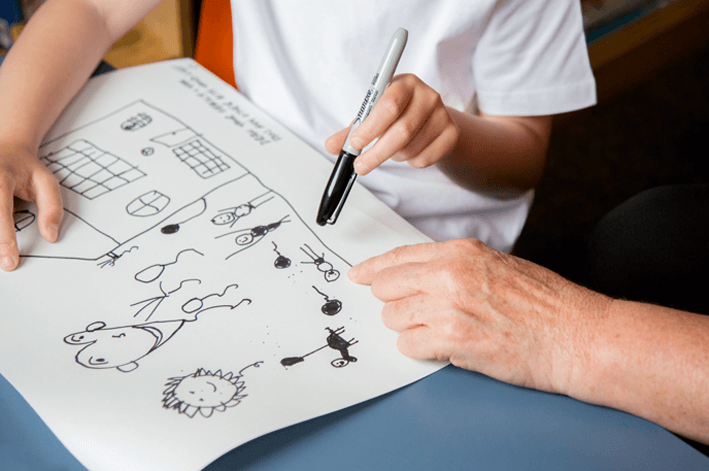 The pages in the childhood cancer and education section of this website have been developed in collaboration with the National Child Cancer Network (NZ), and the Ministry of Education. Content has been approved by the National Child Cancer Network (NZ). 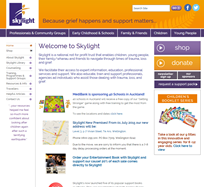 Skylight provides a national support service for New Zealand children and young people who are experiencing change, loss and grief - whatever its cause. Skylight also supports those caring for these children and young people - their families, whānau, friends, professionals and community volunteers. Call free on 0800 299 100 or 64 4 939 6767. Kenzie's Gift aims to improve the emotional well-being and mental health of children, young people and their families affected by serious illness or bereavement. The Grief Centre provides support, advice and counselling to help those affected by grief and loss. They have produced a series of 6 booklets about different aspects of loss and grief. The Dougy Center, in the United States, has worked with many grieving children, teens and families. Their website offers helpful advice on how to help a grieving child or teen. See Help for kids and Help for teens. Offers helpful information for parents and carers and for young people themselves after a family member has died. This page last reviewed 17 August 2018. Abuse: Worried about a child?